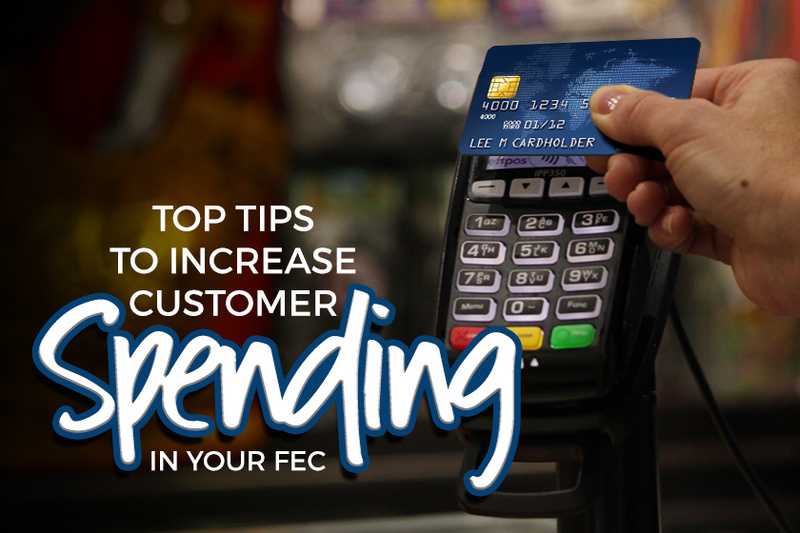 Looking for ideas on how to increase customer spending without compromising the guest experience at your FEC? Increasing your guest spending is the quickest and easiest way for you to increase your turnover. Boost your bottom line by increasing each customer’s spend every time they visit your location. If done correctly, it can actually be seen as offering excellent customer service! Here are six easy ways to encourage customers to stay longer and spend more money, and to keep them happy. Encourage customers to spend more by giving them a package deal on multiple games and attractions. You can set up endless combinations to create products that you can sell at a discounted rate as premium value products. Operators who have implemented packages in their facility consistently report higher guest satisfaction and increased sales. It’s simple logic: when the family has fun together, and parents feel that they have received good value for their money, they are likely to spend more and visit again soon! Another proven method to encourage repeat business is by implementing a Loyalty Reward Program. The lifetime value of a customer cannot be ignored, as profits dramatically increase over the duration of your relationships with them. A strong loyalty program not only encourages customers to return, but also motivates them to spend more money at your venue. According to statistics a returning customer will spend at least 50% more money than a new one. Whether your loyalty program consists of giving away occasional free games, bonuses or tickets, providing a discount on your regular play price, or offering reduced rates on your packages, you’ll be rewarding your most faithful customers and encouraging them to come back on a regular basis. Awarding bonus value to guests is a common practice when the guest is willing to commit to a higher price purchase. A sliding scale which awards guests a 10%-20% premium on their purchase is common and is often sufficient enough to drive guests to a higher spend level. Many locations offer bonuses to guests for committing to a $20 or $50 upfront card load. The reality is most guests are prepared to spend an even amount like this and often think in standard currency increments when deciding what value to load onto their card account. A great way to drive per cap spending is to award the guest for “reaching” the bonus level. As an example, a guest that is prepared to load $20 on their card might find it a great deal if they receive $5 free bonus dollars for loading $22 on their card. In this case, the guest committed to a 10% up-sell in order to receive the bonus award. There should always be an offer in place to drive a guest to the next spend level at common sell points. Evaluate your game room layout to see if you are your own worst enemy. Can players comfortably move around and play games without feeling constricted? Can they easily view other games and attractions? If not, they will spend less time and less money in your venue. In some cases, the games that have been chosen for your game room are not optimal choices. Changing up what rides and attractions you offer can help grow your average transaction size. Remove low-earning, large-footprint games and replace them with other real revenue earners with a smaller footprint – more variety could translate into more revenue! Make sure your guests are aware of the promotions, games/attractions, packages and services available at your FEC. Banners, newsletters and social media can help get the word out. Relocating games can also help you create awareness and get a repeat customer to notice a game they might have missed on a previous visit. Training your employees not only makes sense, it can make you money too. What if your sales people were better trained to upsell or value add, increasing the number of sales and the value of each transaction? If they’re just selling what the customer came in for, you’re leaving money on the table. To motivate them to promote and market your venue, they have to believe they are a part of your team and will benefit from your success. Tell them what you’re looking for, and then give them the tools to achieve it. You could even create a weekly/monthly sales challenge. Focusing your team on a particular area such us party bookings, card updsells, package deals sold, etc. for a week or a month can increase add-on sales.